We all know that the F-Series is the highest selling vehicle and has been for decades, but new numbers detail the incredible sales for Ford's workhorse. The big story in the auto industry, in 2018, was the surge in truck and crossover sales and the huge decline in car sales. Ford really put that into perspective announcing that in 2018 an F-Series truck was sold every 29.3 seconds. The greatest percentage of those sales involved the popular 2018 Ford F-150. Ford says that in 2018 it sold more than 1.075 million F-150s and F-Series trucks globally. That cements the F-Series' 42 year run as America’s best-selling truck. The Ford F-150 has been America’s best-selling vehicle for 37 years. 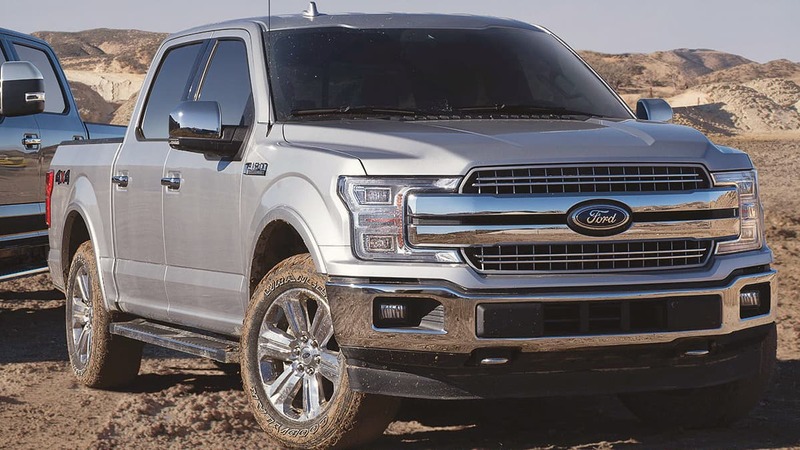 The popular F-150 has been credited with keeping Ford afloat during difficult years. The numbers associated with the truck are staggering. According to Ford, the average transaction price for the truck is $46,700. Ford estimates that the F-Series sales revenue of $50 billion would be greater than the 2018 revenues of Fortune 500 companies including Oracle ($37 billion), American Express ($35 billion) or Best Buy ($42 billion). After seeing those figures, it is easy to understand why other auto companies are battling to increase truck sales. Ford made its announcement about the F-Series sales just ahead of the North American International Auto Show in Detroit. The show is a huge platform for all of the Detroit-based automakers and the latest trucks are always a huge draw inside the show. The Ford F-150 has been an innovator in the truck market and has been richly rewarded for it. Ford says that F-Series average transaction prices have steadily grown since the 2014 debut of the new F-150 with a high-strength, military-grade, aluminum-alloy body, climbing an average of $7,400 per truck. The switch to aluminum and high-strength steel helped to improve fuel economy and set the F-150 apart from the rest of the field. Ford has been very vocal about dropping all but a few of its sedans and pushing aggressively into producing more trucks and crossovers to meet customer demands. General Motors recently followed suit, announcing that the automaker would close several plants and concentrate on producing more trucks, crossovers and electric vehicles. Ram has also dramatically stepped up production of its popular Ram 1500, switching a car plant over to increase truck output. Ford said that if the 1.075 million trucks sold globally, in 2018, were lined bumper-to-bumper, F-Series trucks would stretch more than 4000 miles. That is greater than the distance from Dallas to Honolulu. Ford has also been at the forefront of adding luxury to its trucks. Once used solely for work, trucks are increasingly being used as family vehicles. They are larger and have more passenger room than ever before. Ford’s F-Series encompasses a vast range of trucks, from the F-150 XL starting at the MSRP of $28,155 to the F-450 Super Duty Limited with the MSRP of $86,505. Ford builds the F-Series at four different plants, Kentucky Truck, Kansas City Assembly, Ohio Assembly and the Dearborn Truck Plant.